Strange Music Promises Monumental 2013! Following a banner 2012, independent juggernaut Strange Music prepares for its biggest year to date with an unprecedented eleven scheduled releases and a nationwide tour appropriately titled the Independent Powerhouse Tour 2013. Headlined by Strange Music co-founder Tech N9ne, the Independent Powerhouse Tour 2013 will follow the record-breaking Hostile Takeover 2012 Tour and will include performances from label mates: gold-recording artist Brotha Lynch Hung, Krizz Kaliko, Kutt Calhoun, along with newcomers Rittz and CES Cru. 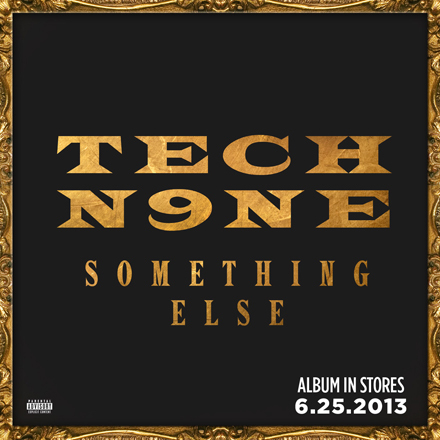 Every performer on the Independent Powerhouse Tour 2013 will also release a full-length album during the national outing, including Tech N9ne with his long-awaited album, Something Else, due in stores June 25th. 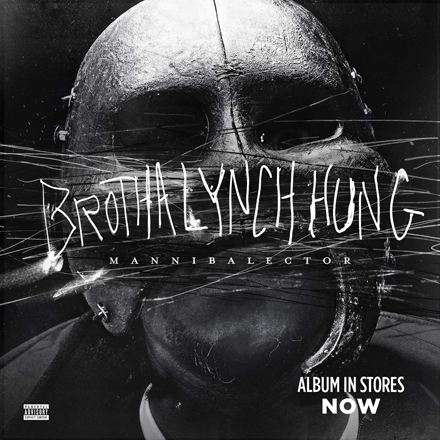 Strange Music’s breakout year begins with Sacramento legend and Ripgut pioneer, Brotha Lynch Hung, as he brings his historic Coathanga Strangla trilogy to a close with the highly-anticipated album, Mannibalector, in stores now. Mannibalector adds another highlight to the veteran’s already extensive catalog and places the nail in the coffin to a three-year narrative that began with 2010’s Dinner And A Movie. “It’s the end of an era in my life. I came up with this trilogy before I signed with Strange, but didn’t have the man power or the money. Strange supported me with that, and I couldn’t wait to do it. Now that it’s done, there’s a lot of pressure that’s been taken off me because I finally finished an idea that’s been with me for so many years. Mannibalector features appearances from Tech N9ne, Yelawolf, Hopsin, Bernz and Wrek of ¡MAYDAY! The album also continues the collaborative efforts from producer Michael ‘Seven’ Summers, which have defined the cinematic soundscape of Brotha Lynch Hung’s music in recent years . The Kansas City Chief, Kutt Calhoun, returns to the forefront with Black Gold on February 26th, 2013. 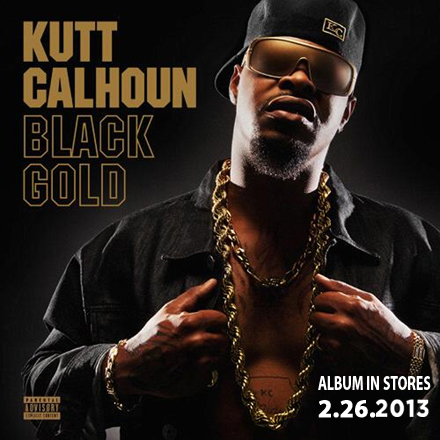 Following the release of his KELVIN EP, Kutt Calhoun will support Black Gold on the Independent Powerhouse Tour 2013 and looks to surpass his previous releases with his strongest effort to date. “It’s very urban in sound. This is reality rap music. You’ve got songs like ‘Hello Goodbye’ – fans who appreciate the pain and darker content will like that. I wouldn’t call this a mainstream album, I would just call this a great album. Black Gold features guest appearances from Tech N9ne, Krizz Kaliko and Brotha Lynch Hung among others, while retaining the cohesive and current sound achieved on KELVIN by lead producer Michael ‘Seven’ Summers. 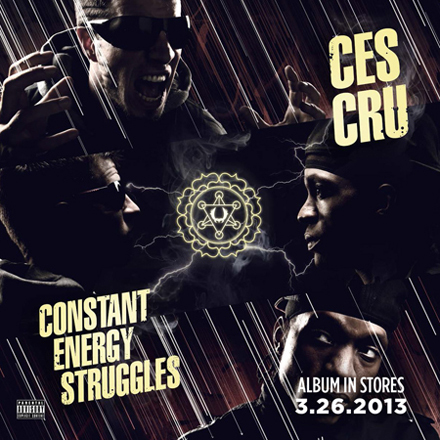 On March 26th, Kansas City duo CES Cru preps their full-length debut album with Constant Energy Struggles. First signed by Tech N9ne in early 2012, CES Cru impressed audiences with their high-energy performances and the successful release of their EP, 13. With Constant Energy Struggles, the duo of Godemis and Ubiquitous hope to revive the golden age of rap for a new audience. “Constant Energy Struggles sort of encapsulates the experience that we’re going through right now as we ascend at a very quick pace into the rap game,” says Ubiquitous. “There’s a lot going on. There’s a lot of energy struggles and you only get what you ask for, not necessarily what you’re worth. Constant Energy Struggles will feature Tech N9ne along with JL of B. Hood, Liz Suwandi, and long-time collaborator Info Gates. 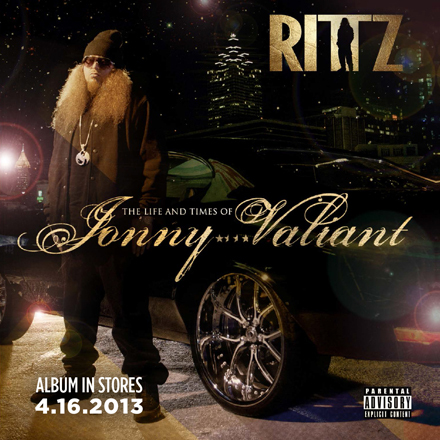 Slumerican ambassador and Strange Music’s latest addition, Rittz, will step out on his own for his first full-length release with The Life And Times Of Jonny Valiant on April 16th. The buzz-worthy release will see the Gwinnett County emcee take on an old persona while giving listeners an earnest account of his road to success. “I’m so happy with how these songs have turned out. Whoever’s a fan of me already is just going to love this project. A lot of it is life stories. It’s crazy. I’ve got a song in there called ‘My Interview’, which is basically a mock interview, and it’s kind of like a bio song, giving out my story and my influences. The Life And Times Of Jonny Valiant is slated to include features from Tech N9ne and Krizz Kaliko, and will see the return of DJ Burn One on production duties. Kicking off the summer on June 4th, ¡MAYDAY!’s Wrekonize concludes a six-year journey that finally sees the release of his debut solo album. 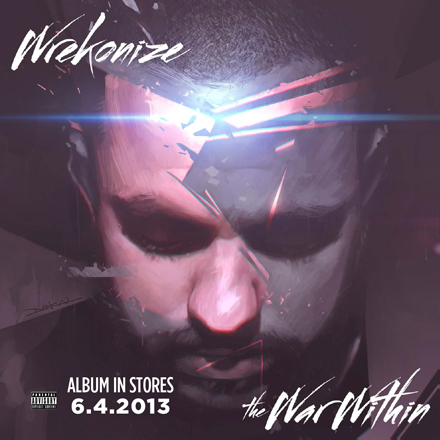 A seasoned wordsmith and former MTV battle rapper, Wrekonize breaks from the pack in 2013 to deliver an intimate collection of songs on the aptly titled The War Within. “There’s a place that I don’t often go with ¡MAYDAY!’s music because it’s a group atmosphere and we head towards more widespread themes, but when I’m doing a solo project, I tend to go very autobiographical and the records cross the realm of how personal they get to me. It’s definitely just way closer to the heart in terms of personal topics and things that I can speak on that are affecting me and not just everybody else. Wrekonize’s The War Within will follow the final installment of his Waiting Room series with the release of The Rooftops Mixtape on 1/31/13. After achieving his highest-charting release with 2011’s All 6’s And 7’s (#4 Billboard), Strange Music general Tech N9ne tackles the most ambitious album of his career, Something Else, on June 25th . The Kansas City emcee kept fans busy in 2012 with the release of three consecutive Top 3 rap releases – KLUSTERFUK, E.B.A.H., and Boiling Point. With demand at a fever pitch, Tech N9ne aims to give listeners an untouched piece of his life while cementing his place among rap’s elite. “The beats sound nothing like anything you’ve ever heard me on. The features that I’m going for are something you would never imagine. All I can say about it now is that it’s a very human album. What I mean by that is that it’s contradictory. On one song I say, ‘The saint is ours’, like we’re in the saint’s corner and then I have another song called ‘I’m Not A Saint’. It’s so beautiful because the King, the Clown, and the G are still present on this album. A testament to Tech N9ne’s work ethic, Something Else will be followed by a yet-to-be-named EP on November 5th. Nearly one month removed from Wrekonize’s The War Within, ¡MAYDAY! rallies for their sophomore Strange Music release, Believers, on July 16th. With the challenge of living up to their 2012 critically-acclaimed album, Take Me To Your Leader, Strange Music’s six-piece Miami connect builds on their grassroots following and marches towards a larger than life project. 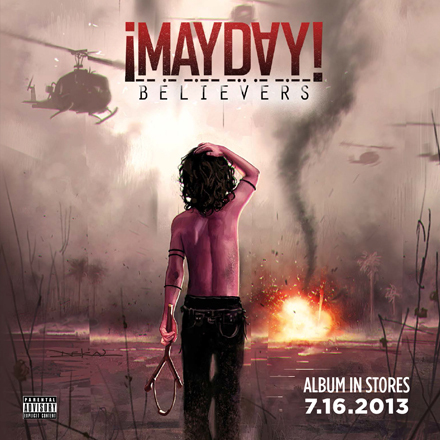 Believers is slated to feature production from ¡MAYDAY!’s own Plex Luthor and Gianni Ca$h. 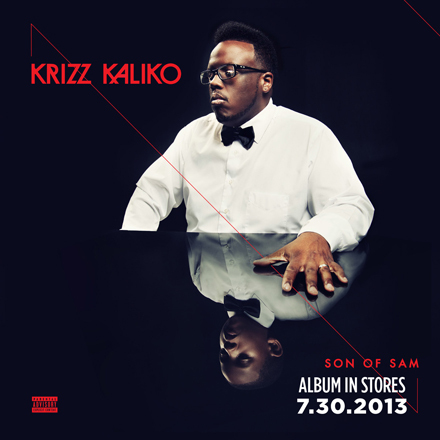 Strange Music’s resident genius, Krizz Kaliko, sets a personal milestone with his fifth full-length release on July 30th, Son of Sam. Thanks to the launch of his innovative Kali Friday video series, Krizz Kaliko earned his strongest first-week sales ever with 2012’s Kickin’ & Screamin‘. A staple of Tech N9ne’s music, Krizz Kaliko has proven to be a star in his own right and now invites fans to join him as he once again redefines the limits of hip hop. “I try to give you remnants of the last album and then show you what I’m doing new, too. I always try to reinvent myself on every album and make it as innovative as possible and as killer as possible. I let the people decide if it’s better or not. Fans can expect Krizz Kaliko’s killer instinct on Son of Sam to be accompanied by usual suspects Tech N9ne and producer Michael ‘Seven’ Summers. An enthused Tech N9ne once called him a “star” and for his second outing, Stevie Stone delivers 2 Birds, 1 Stone on August 13th. The brash emcee from the middle of the land has built a reputation for heavy street music, often backed by 808 drum patterns, and has proven to be a road warrior with two national treks in 2012. Staring down his sophomore Strange Music release, Stevie Stone hasn’t lost the focus that made him the perfect candidate for the Snake and Bat’s urban breakthrough. “Rollin’ Stone was a good starting point, but I always use the analogy that after every ladder there’s another ladder. After every song, you have to be better than your last song. It’s about growth and it’s about how I’m feeling. It’s about what I see through my eyes and what I have lived. 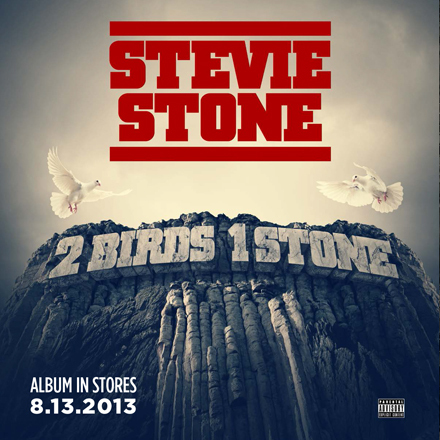 Stevie Stone’s 2 Birds, 1 Stone is due in stores August 13, 2013. 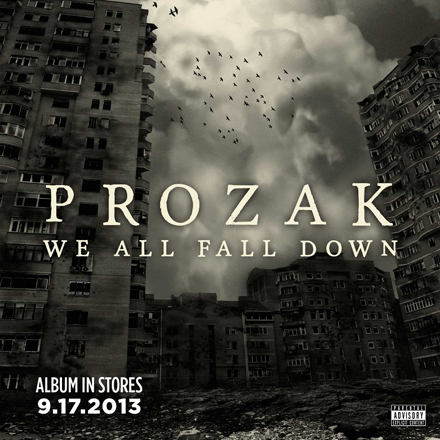 Strange Music veteran Prozak rounds out 2013 with We All Fall Down on September 17th. The Saginaw, MI native has long been a favorite with fans thanks to his poignant writing and ability to spotlight the dark realities of human behavior. 2012 saw Prozak embark on two national tours and self-release his third film, A Haunting On Potter Street, to a sold-out crowd of 5,000. Delving deeper into the harsh struggles of life, Prozak pens one of his most ominous works yet. “I would say the direction of We All Fall Down is just kind of an exploitation of reality, where the world is now, and just my thoughts about where we’re headed and how we got here. Don’t get me wrong, that doesn’t mean that this is a political record, but this is a people record. With an unparalleled schedule of releases for 2013, Strange Music promises plenty more in the year to come. Visit https://strangevip.com for a complete list of dates for Tech N9ne’s Independent Powerhouse Tour 2013!